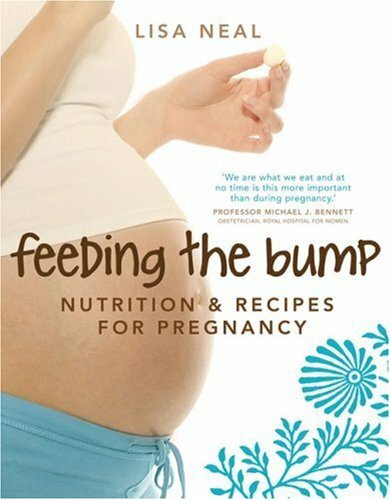 Divided chronologically into pre-conception, first, second, and third trimesters and post-partum/breast feeding, Feeding the Bump provides women with all the information they need about their own and their unborn child’s nutritional requirements and the best way to fulfill them. 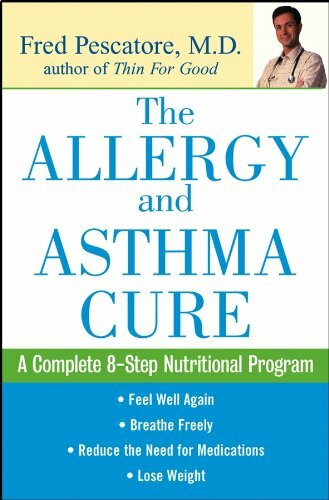 It is packed with useful information and nutrition tips, including tried and true remedies for common complaints such as morning sickness and heartburn, along with more than 100 easy-to-follow and absolutely delicious recipes. This is a must-have resource for all women wanting to maximize their unborn child’s health, and their own, through what they eat. The 10 simulation scenarios included in this text outline the details of cases relating to congestive heart failure, diabetes, liver disease, and other critical conditions. These simulations can be used in role-play activities with preceptors or with actors, as well as with high- or low-fidelity simulation robots. Each new copy of this text also includes access to 10 online decision-tree modules that are focused on the same topics as the in-text simulation scenarios. In these decision-tree modules, each decision the student makes impacts the outcome of the patient’s treatment, encouraging the student to improve their ability to make decisions effectively and reliably. 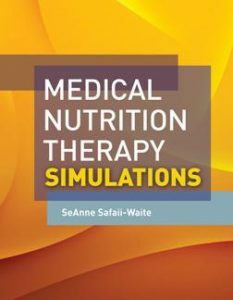 A comprehensive resource unlike anything currently available, Medical Nutrition Therapy Simulations provides a perfect environment to practice and prepare for clinical rotations. These modules mimic real-life clinical situations in which choices or outcomes of treatment are uncertain and are determined by the choices made by the practitioner. Each module features three decision points that determine the final outcome for the patient. While the skeletal effects of vitamin D are well-documented, the role and importance of vitamin D outside of bone health has not been well-established. Vitamin D receptors are located in nearly every tissue of the body, and low levels of vitamin D are associated with a range of various diseases. 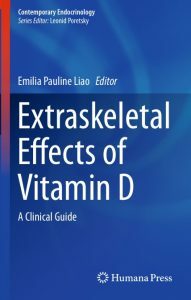 This book provides an in-depth examination of these extraskeletal effects of vitamin D and the associations between vitamin D deficiency and various disease states. Beginning with a review of the biochemistry and physiology of vitamin D, subsequent chapters investigate its relationship to autoimmune and infectious diseases, various forms of cancer, endocrine issues such as diabetes, obesity and reproductive function, cardiovascular disease and muscle weakness. Concluding chapters discuss the role of vitamin D in neurological disorders, including Alzheimer’s Disease, and cognitive function. 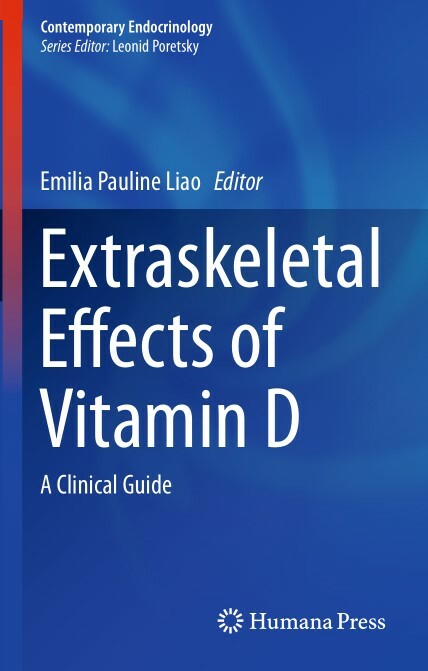 Focusing on extraskeletal effects only across a range of conditions, Extraskeletal Effects of Vitamin D will be an important resource for clinical endocrinologists and primary care physicians. 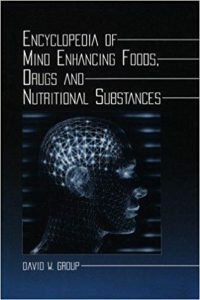 Organized into chapters covering such topics as “Foods,” “Herbs,” “Vitamins, Minerals, and Related Nutrients,” “Hormones,” and “Essential Oils,” the entries cover a wide scope from foods of relative safety like honey or seaweed to synthetic drugs and additives associated with much greater risk. 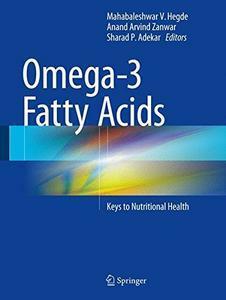 Within the chapters, the more than 400 entries are arranged by each substance’s popular name and provide alternate names, food sources (if relevant), and information on effects, precautions, and dosage. Length ranges from a few lines to several pages for Vitamin C and Vitamin E. The effect on the human brain, not the body, is the focus. For example, although Horsemint, described as a possible aid in minimizing the symptoms of Alzheimer’s disease, is an entry, its in-store shelf-mate horse chestnut, a natural extract that may enhance circulation, is not. The encyclopedia does, however, describe the effects on the body that many of these substances can have. The peppermint taken to alleviate headaches can, in overdose, cause heart problems; the germanium found in aloe, barley, and ginseng and taken to improve brain function can cause kidney failure; and the wormwood ingested as a sedative can be a powerful poison. You can not live without proper nutrition, and the digestive system aids in getting that nutrition into your body. Learn about healthy eating and the process of digestion with this great book. Algae have been used since ancient times as food, fodder, fertilizer and as source of medicine. Nowadays seaweeds represent an unlimited source of the raw materials used in pharmaceutical, food industries, medicine and cosmetics. They are nutritionally valuable as fresh or dried vegetables, or as ingredients in a wide variety of prepared foods. In particular, seaweeds contain significant quantities of protein, lipids, minerals and vitamins. There is limited information about the role of algae and algal metabolites in medicine. Only a few taxa have been studied for their use in medicine. Many traditional cultures report curative powers from selected alga, in particular tropical and subtropical marine forms. This is especially true in the maritime areas of Asia, where the sea plays a significant role in daily activities. Nonetheless, at present, only a few genera and species of algae are involved in aspects of medicine and therapy. 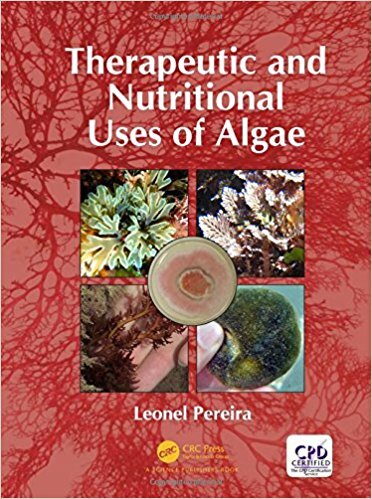 Beneficial uses of algae or algal products include those that may mimic specific manifestations of human diseases, production of antibiotic compounds, or improvement of human nutrition in obstetrics, dental research, thallassotherapy, and forensic medicine. 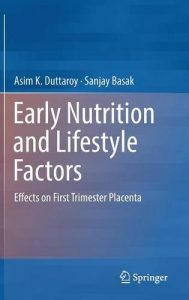 This book highlights the impact of nutrients on early placentation processes and their relevance for fetal growth and pregnancy outcome.​ The role of maternal nutrition on fetal growth and development has been evidenced in many epidemiological studies that included infamous Dutch famine, Helsinki Birth cohort and others. Fetal programming hypothesis states that the nutritional and other environmental conditions under which an individual develops from pre-conception to birth has a major impact on the future health of the newborn child. 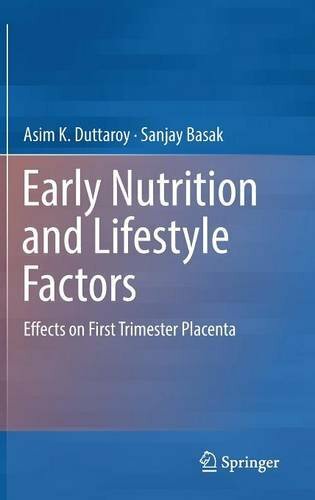 The developmental environment of the fetus is primarily dependent on two major factors that are maternal nutritional state (excess/low/imbalance) and placental function. Placentation is characterized by the extensive remodeling of the maternal uterine vasculature producing low-resistance blood vessels that facilitate the exchange of nutrients and wastes between the mother and the fetus. Cellular and molecular mechanisms involved in human placental blood vessel formation, which are now well established, are discussed.